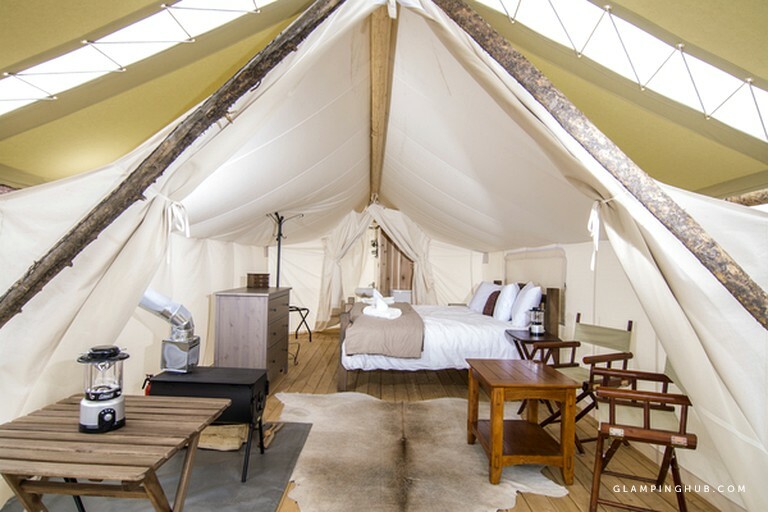 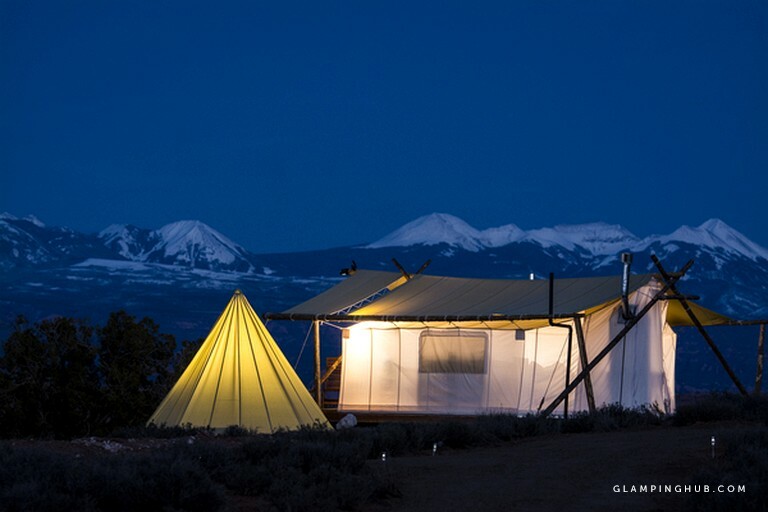 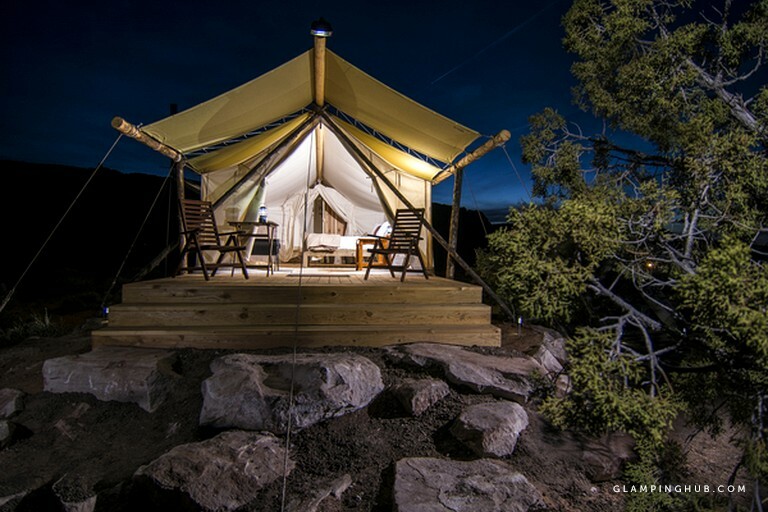 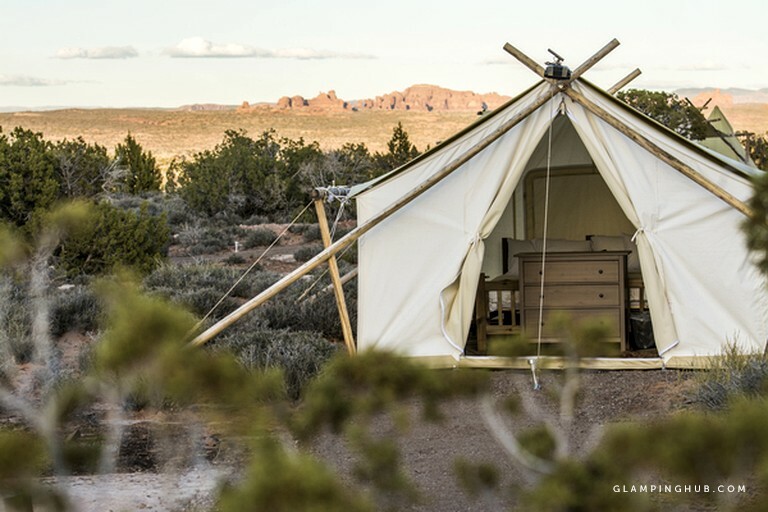 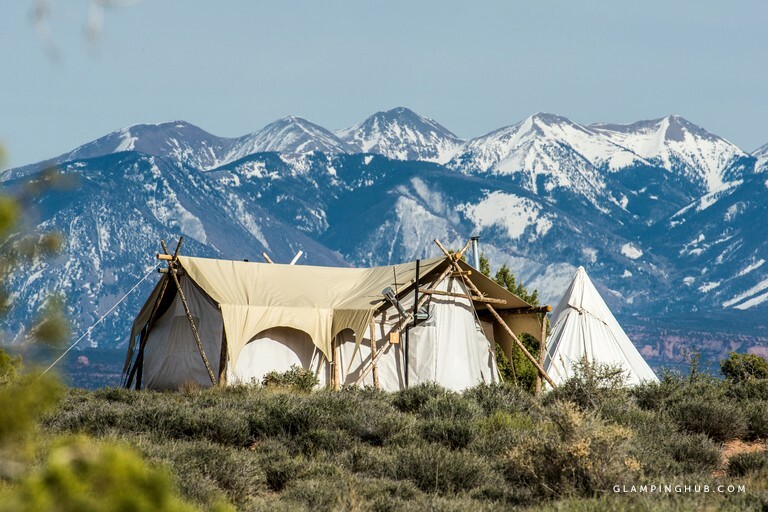 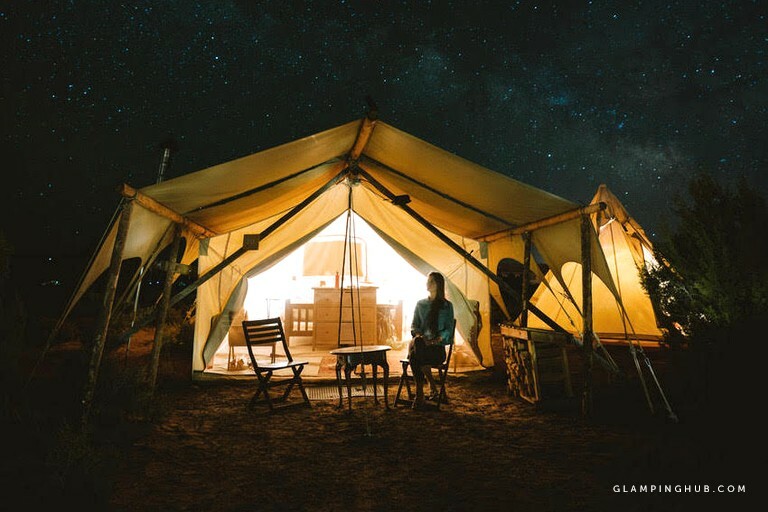 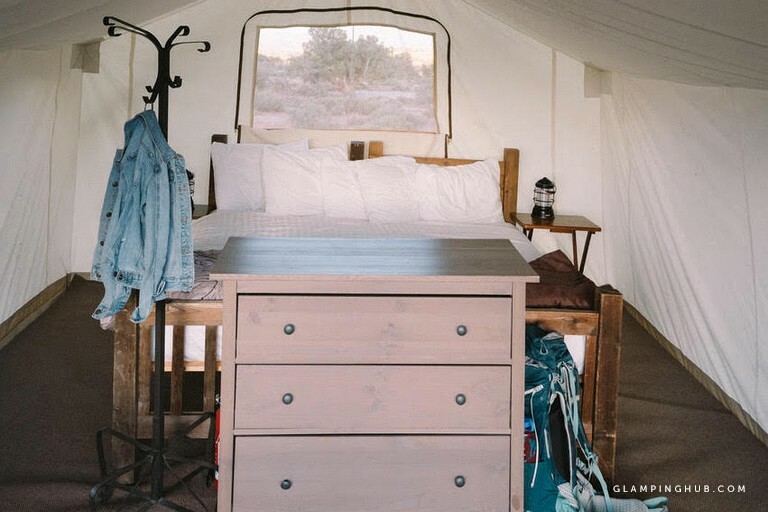 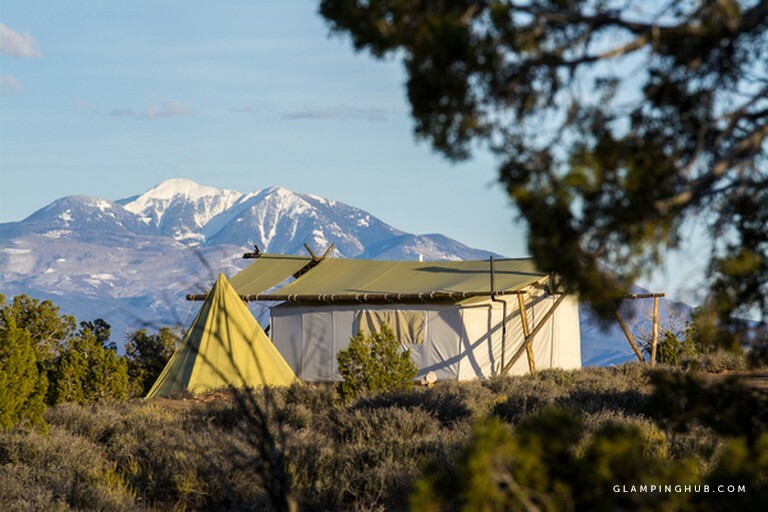 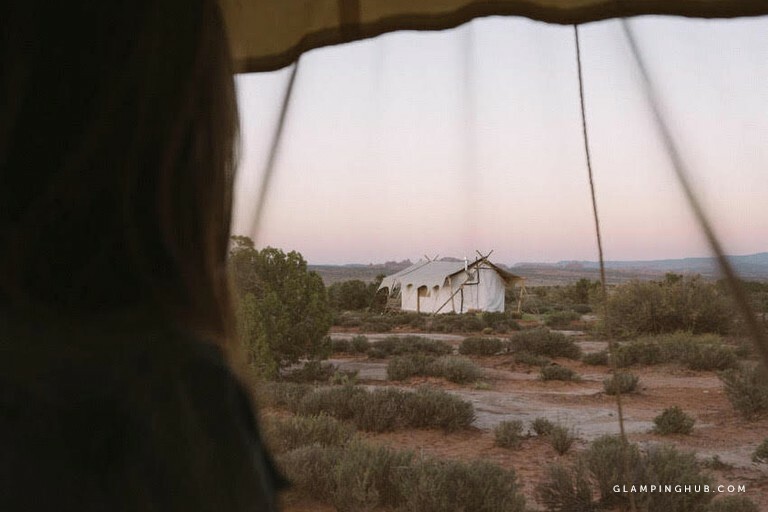 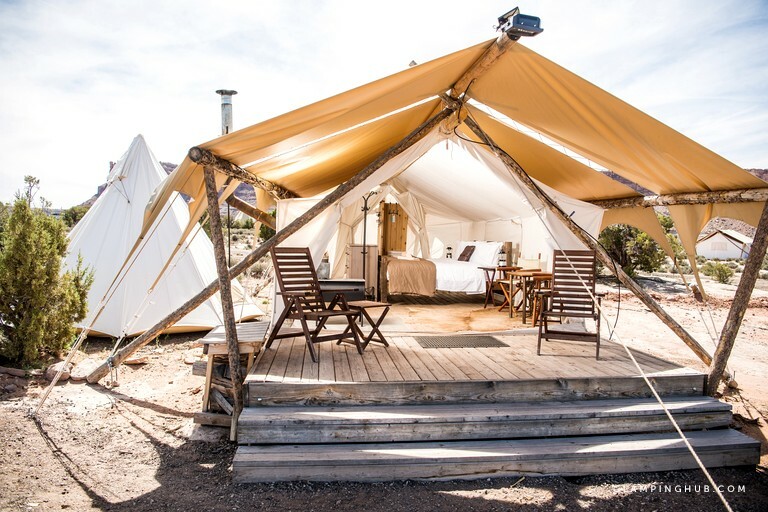 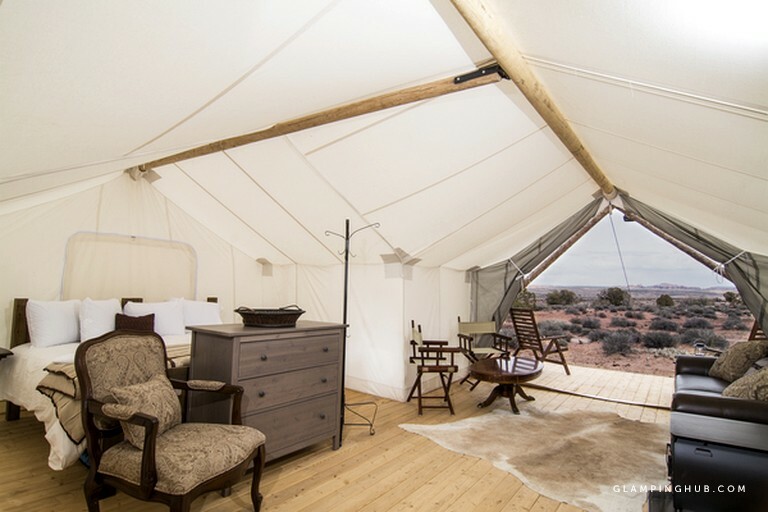 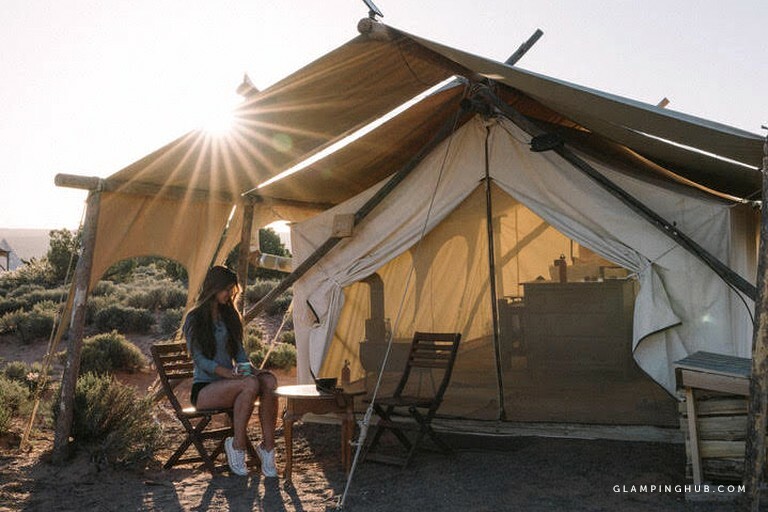 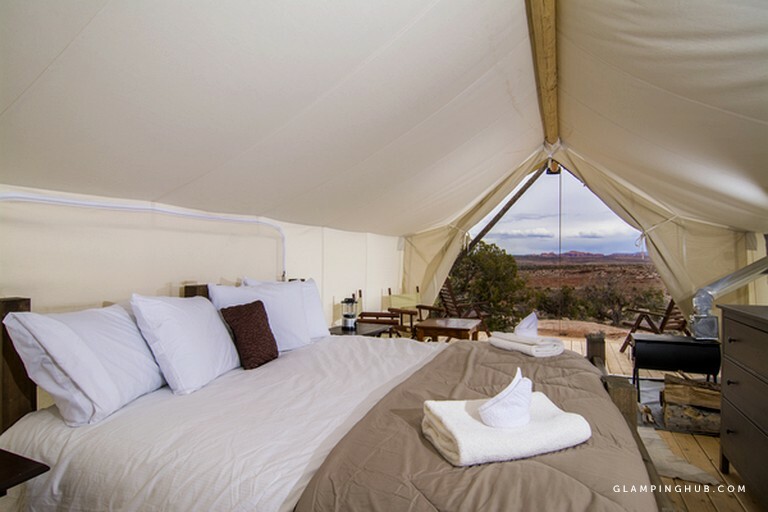 This desert glamping site near Moab in Utah offers a variety of beautiful, luxury tents to choose from, ranging from safari to deluxe tents. 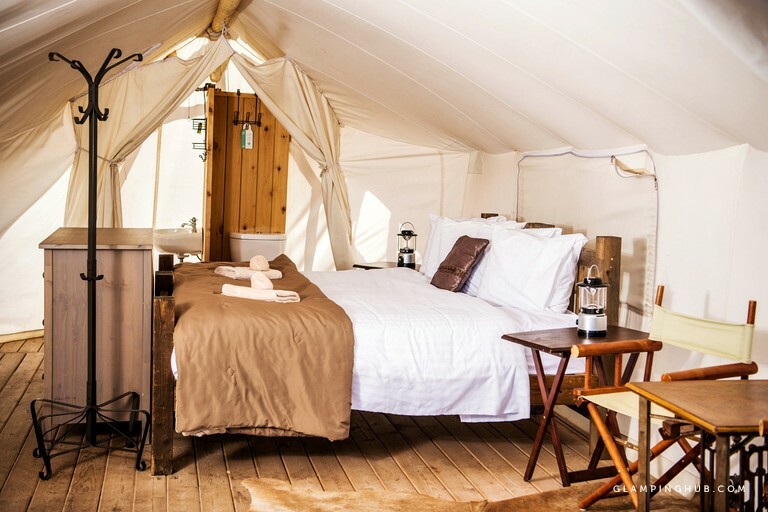 The most luxurious tents are equipped with a private bathroom inside the tent itself. 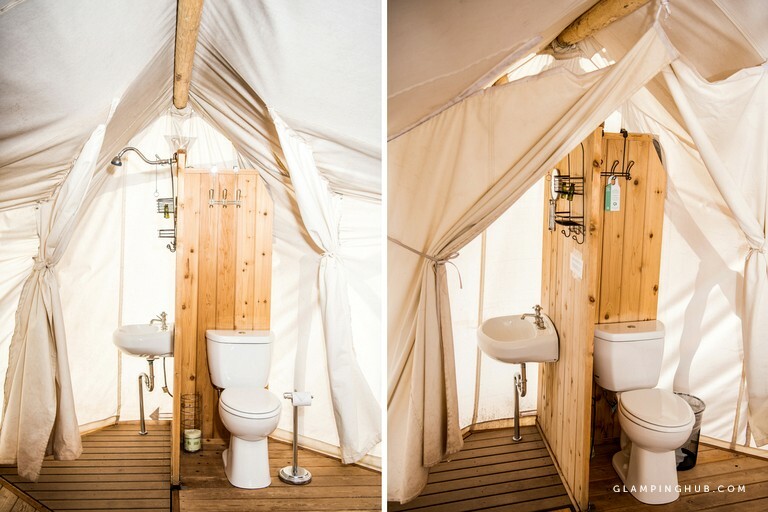 The safari tents have luxury bathrooms situated just a few steps from the tents. 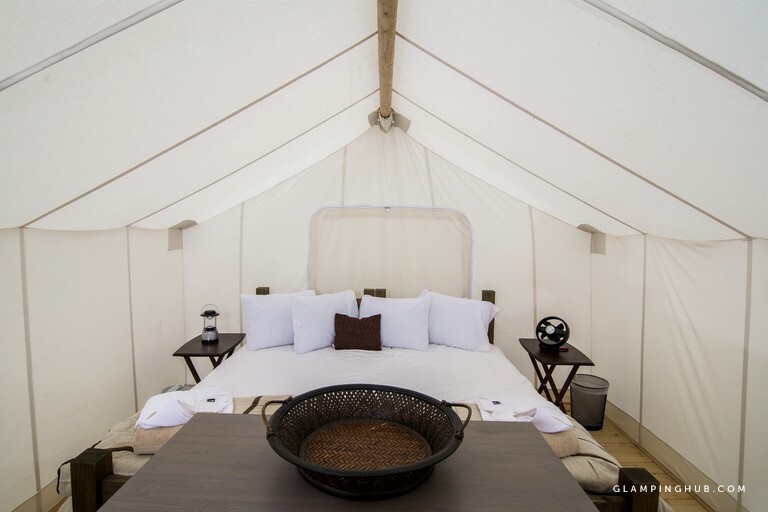 All of the tents on this property are designed for both couples and families alike and can sleep up to four people. 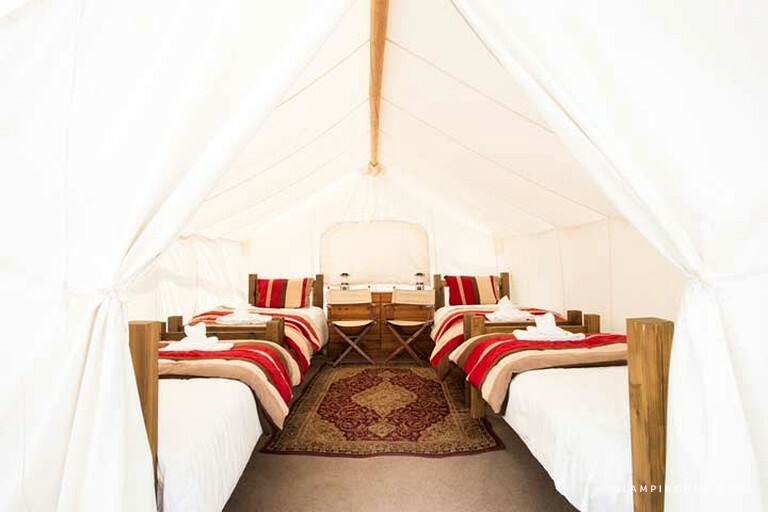 Each tent comes complete with a king-size bed; however, camp cots can be arranged for additional people. 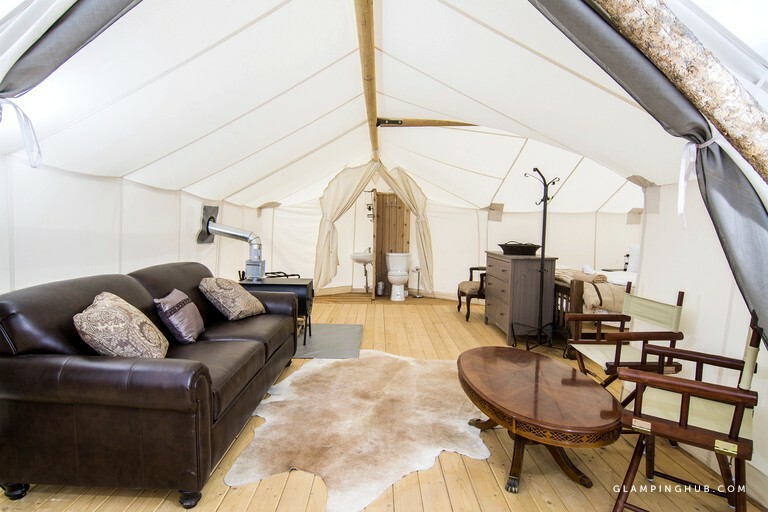 All of the units come with bedding and towels. 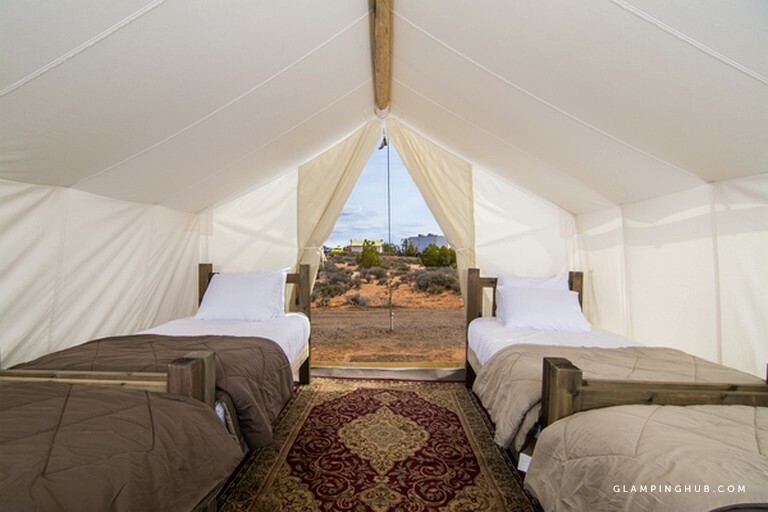 Each tent is situated on the property with amazing views of the surrounding desert. 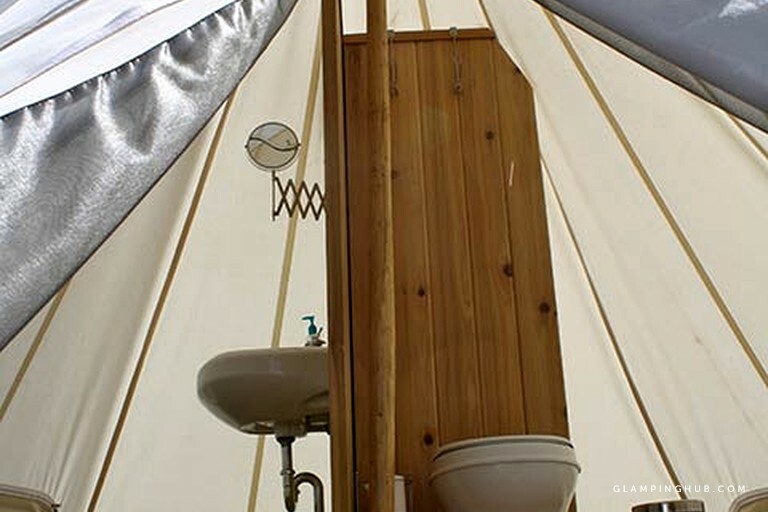 For the units that do not have an ensuite bathroom, the bathroom facilities are conveniently located close to the accommodations. 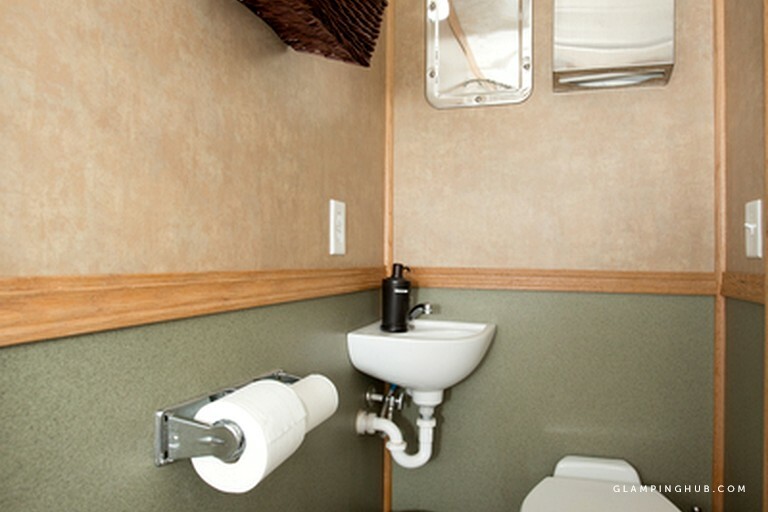 The luxury bathrooms come equipped with hot running water, showers, flushing toilets, ceramic sinks, and spa products. 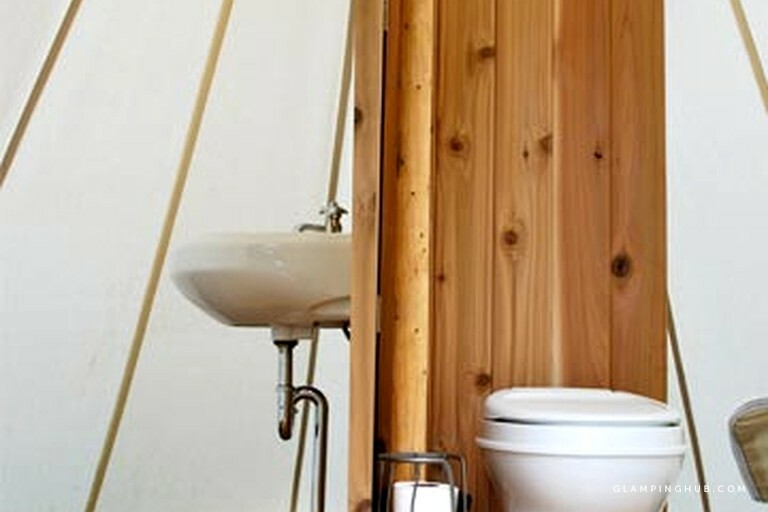 Each bathroom is for single-person use, so guests' privacy is ensured. 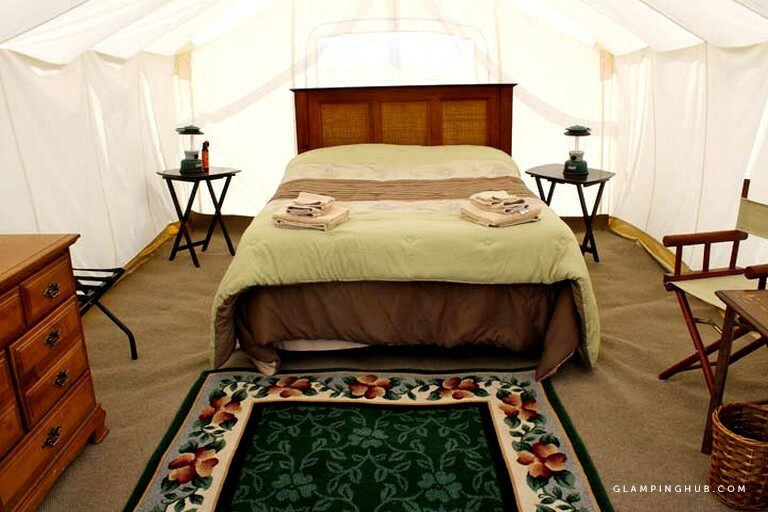 The deluxe tents come with all the amenities of the safari tent and more. 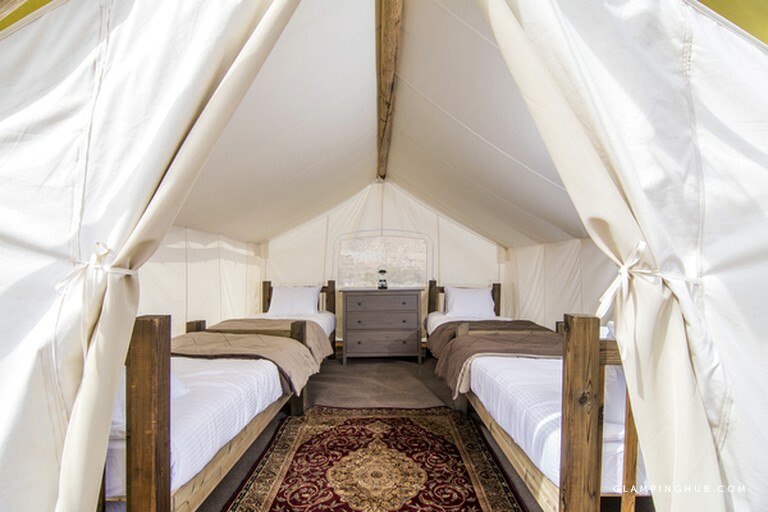 They are in a more secluded location, with risen wooden floors, a large deck with lawn chairs, and they also include a private bathroom with hot water, a shower, and a flushing toilet. 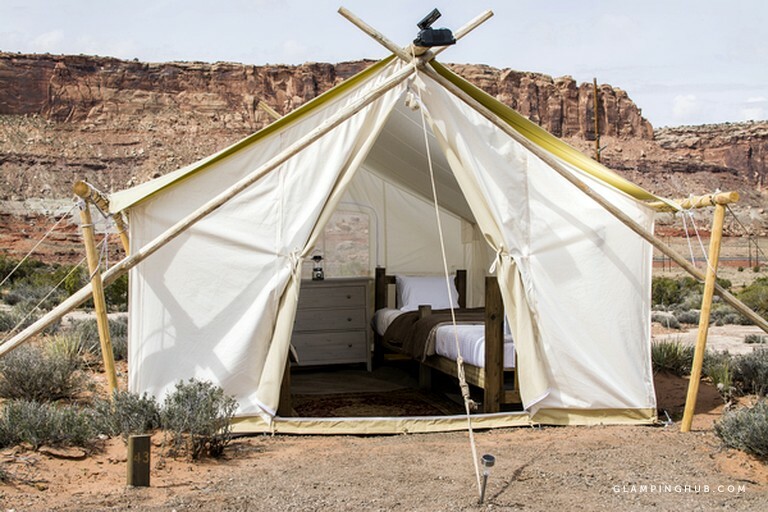 The safari tents are located in a secluded part of the Moab desert but still very close to the city of Moab itself. 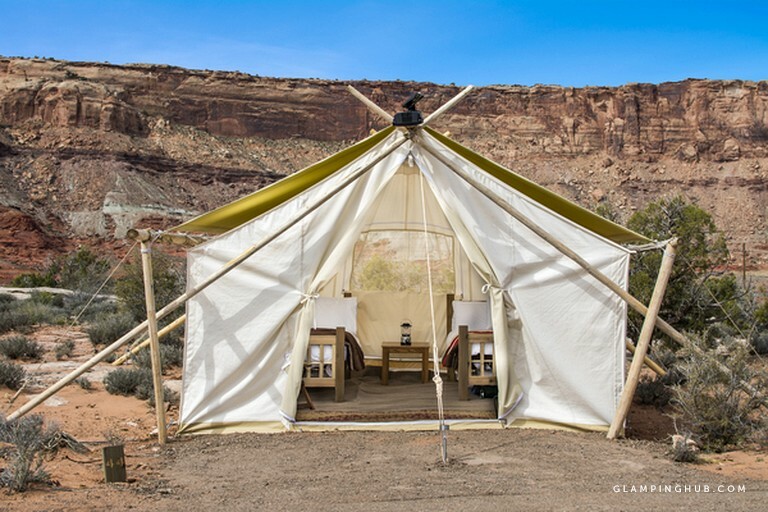 Guests can wander around the property or take part in many of the activities off site. 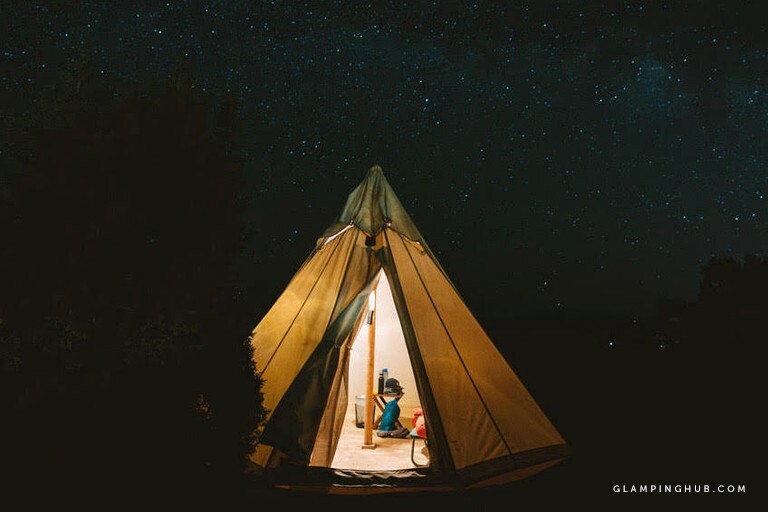 The luxurious bathrooms are complete with flushing toilets, hot water, showers, ceramic sinks, and spa products.They are either situated inside a tipi or a bathroom trailer and are all individual units. 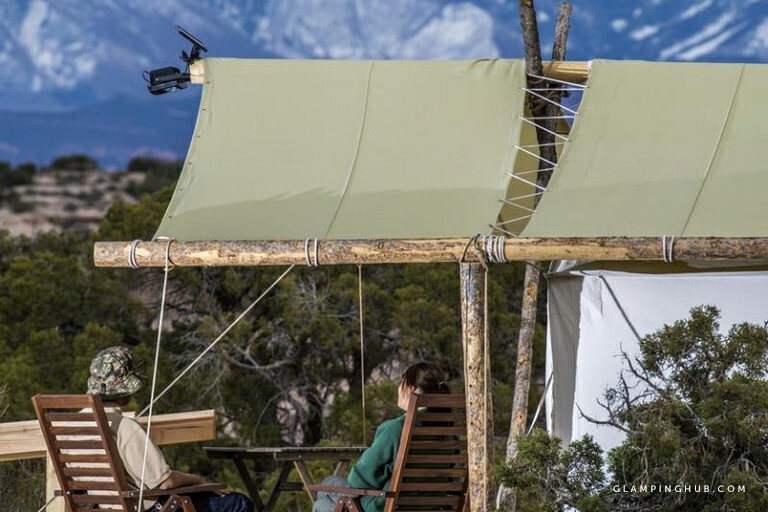 Guests can also use the barbecues that are provided on the site to prepare meals if they wish. 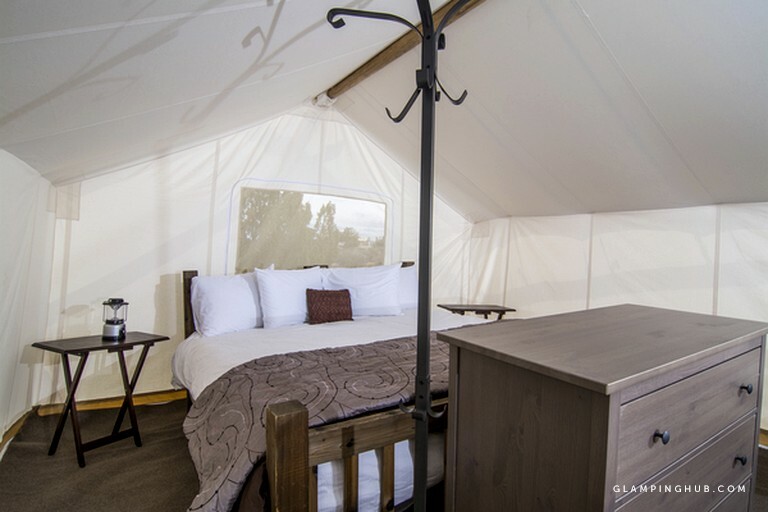 Guests will also have coffee and gas grills with utensils provided upon arrival. 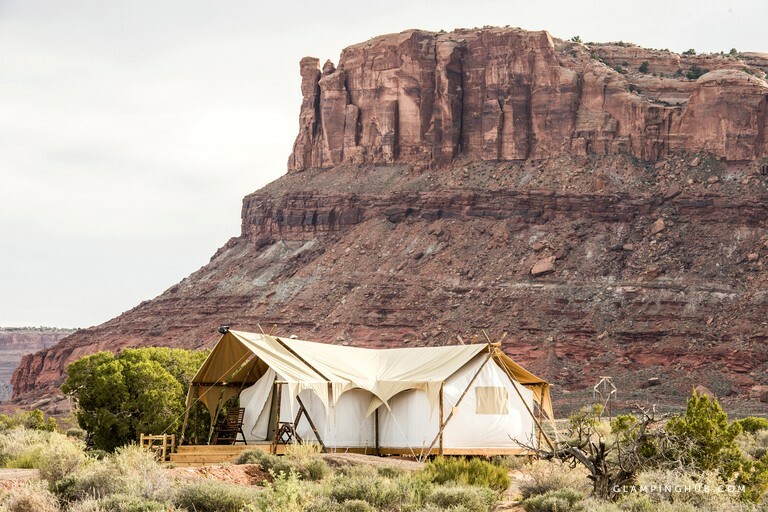 There is always something to do in the Moab Desert and this is the place to be for outdoor enthusiasts. 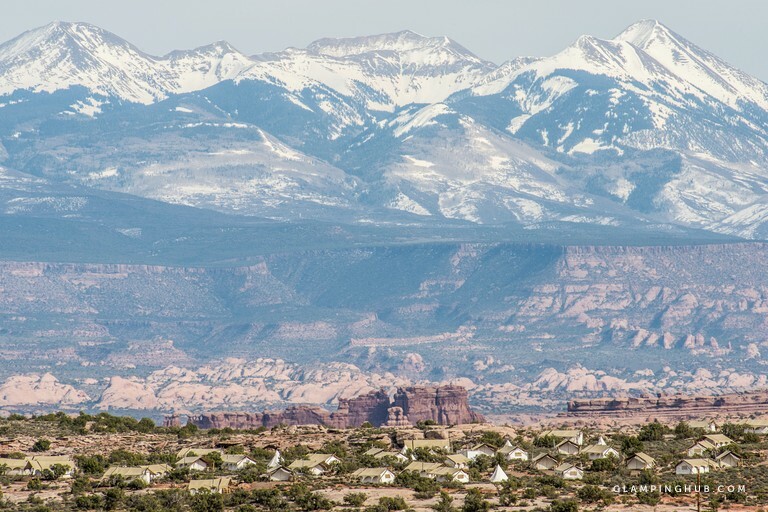 It is considered a Mecca for mountain biking with its beautiful red rock terrain and views that seem endless. 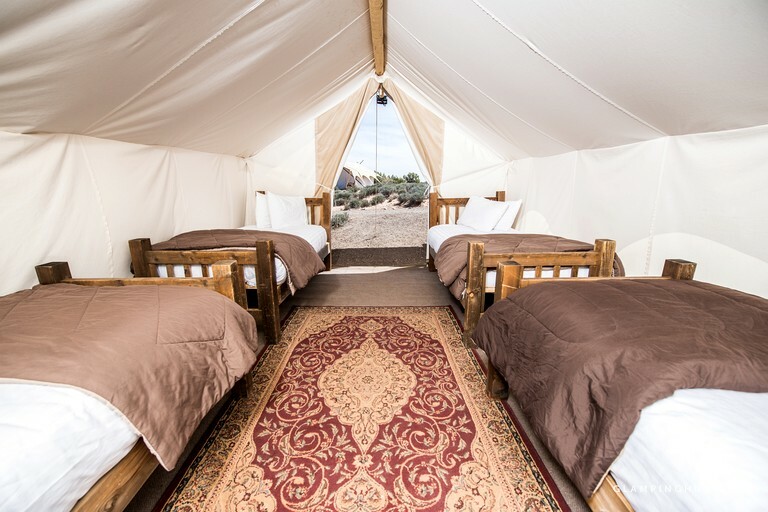 Besides mountain biking, guests can enjoy a variety of activities such as hiking, rock climbing, guided tours, white water rafting, hot air ballooning, horseback riding and much more. 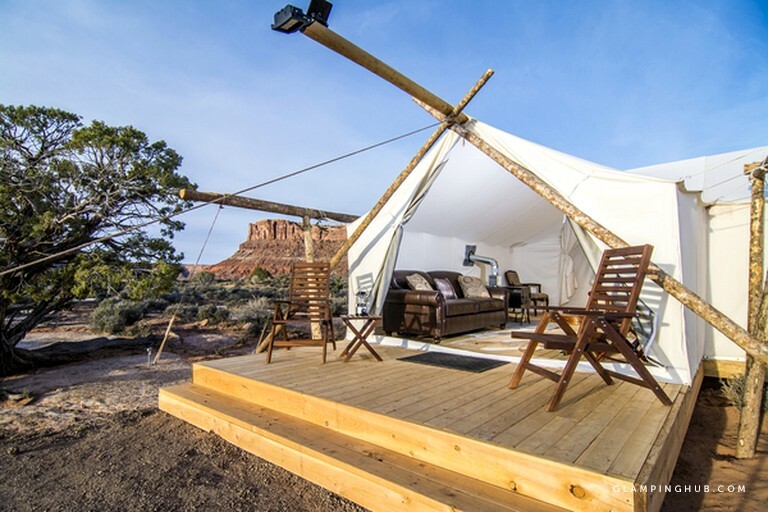 Don’t forget, this property is located very near the entrances Arches National Park and Canyonlands National Park, which are both very spectacular. 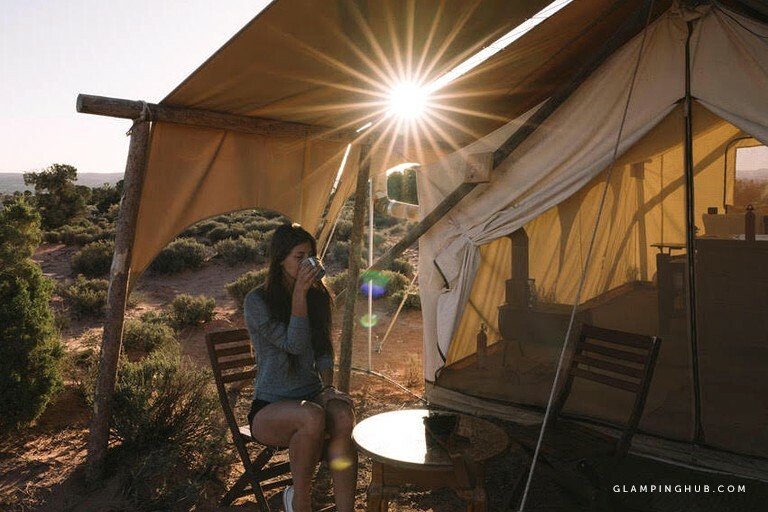 The sunsets here are not to be missed! 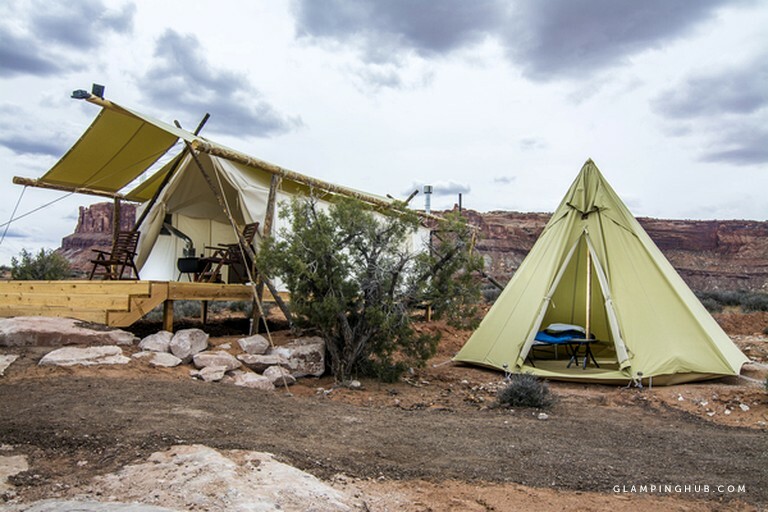 The evening is one of the best times of the day in the Moab desert and the property is a great place to unwind and enjoy the vistas. 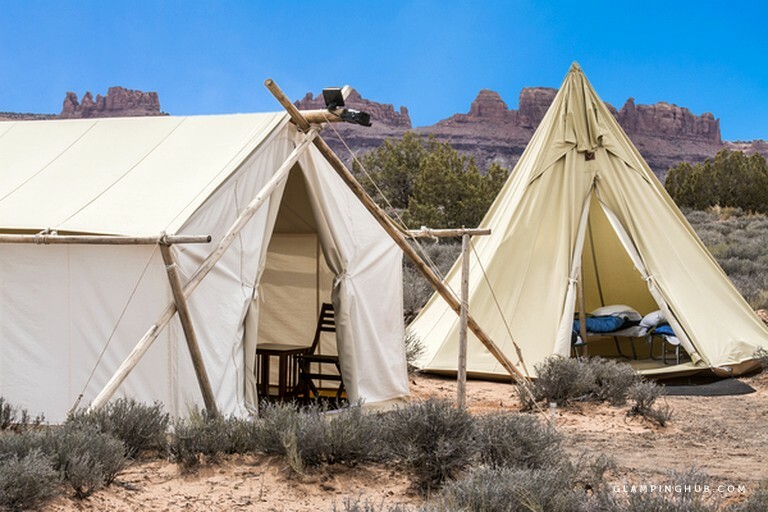 The daily rental price for the tipis is based on a double occupancy. 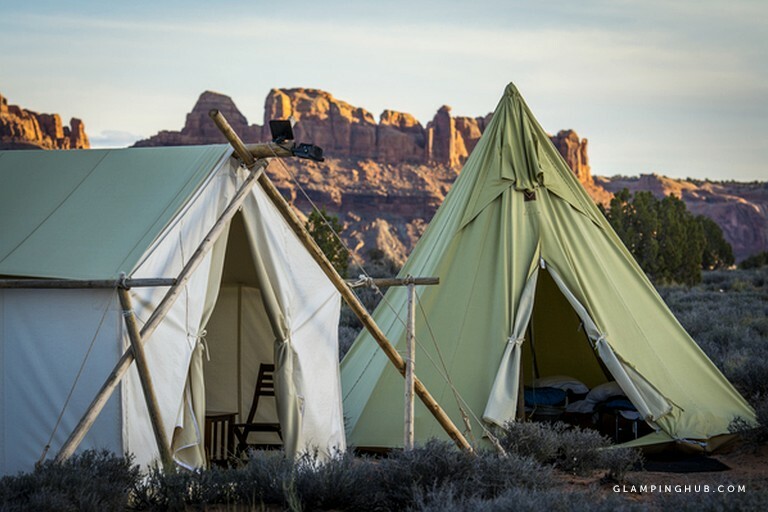 For more than four guests, there is an extra fee of $25 per additional guest per night.